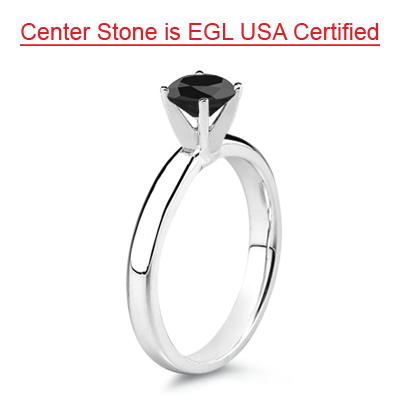 1.00 Ct EGL USA Certified 5.65-6.37 mm AAA Round Black Diamond Solitaire Ring in 14K White Gold . 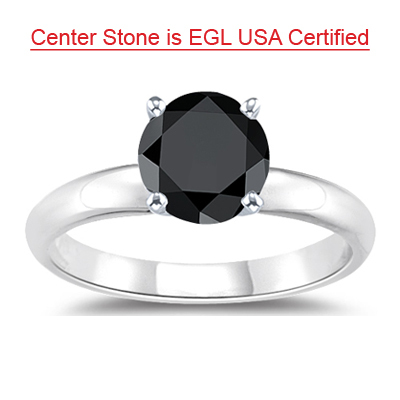 This sparkling EGL USA Certified Black Diamond Solitaire Ring is decked with an AAA round Black Diamond prong set in 14K White Gold. 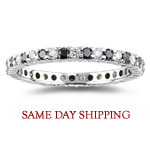 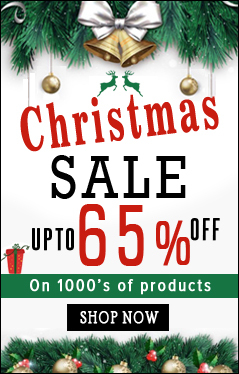 Approximate Black Diamond Weight: 0.95 Carats. 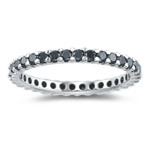 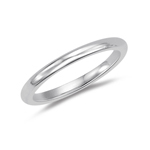 This beautiful designer ring displays sheer elegance.